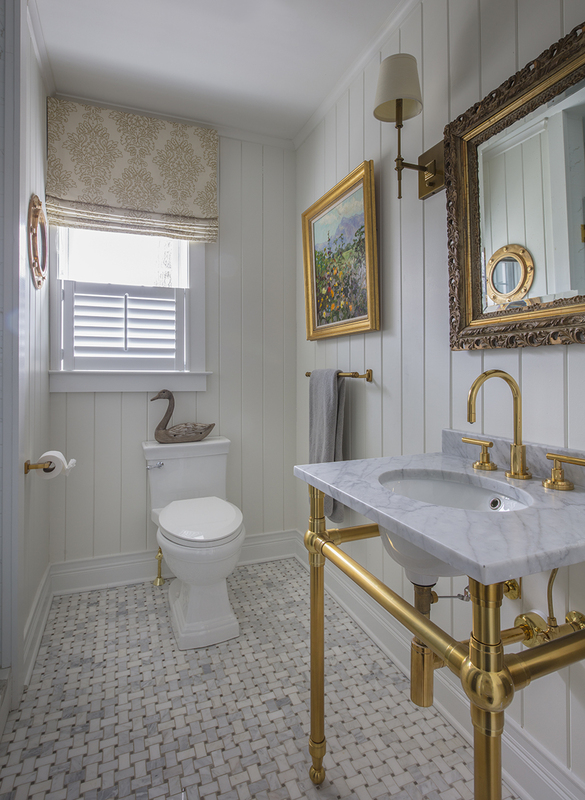 This beautifully appointed cottage is a peaceful refuge for a busy couple. 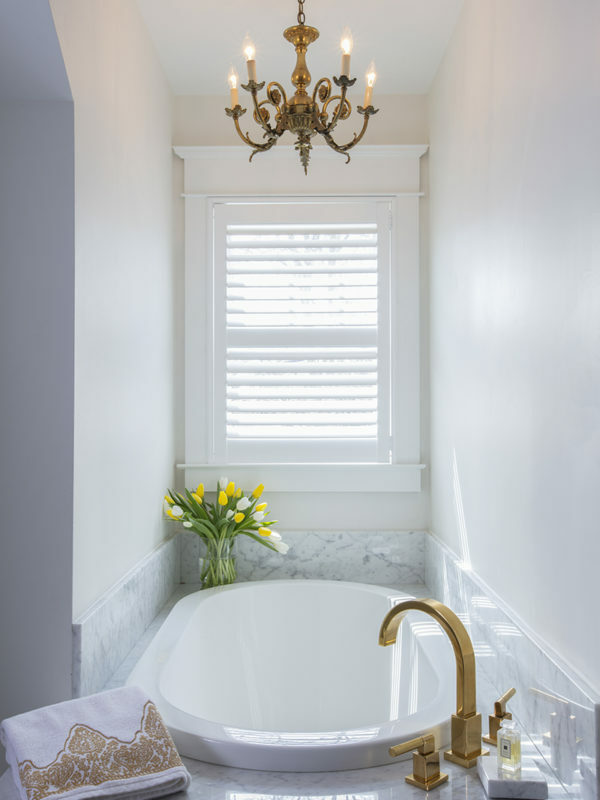 From hosting family to offering a home away from home for Navy Midshipmen, this home is inviting, relaxing and comfortable. 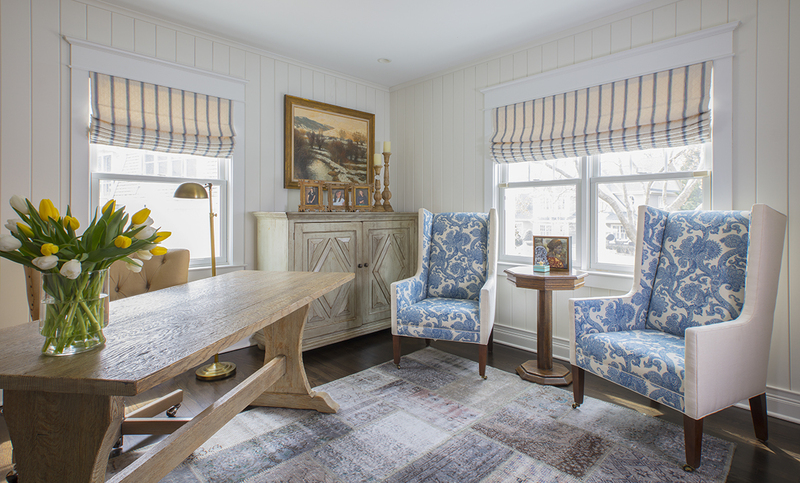 To meet their needs and those of their guests, the home owner’s request of us was to provide window treatments that would be functional while softening each room. 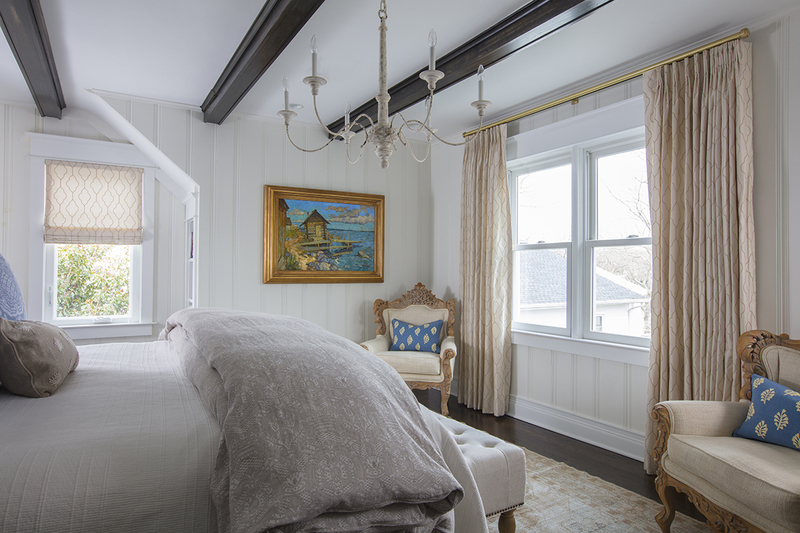 In the bedrooms, this was achieved with traversing draperies and operable roman shades. 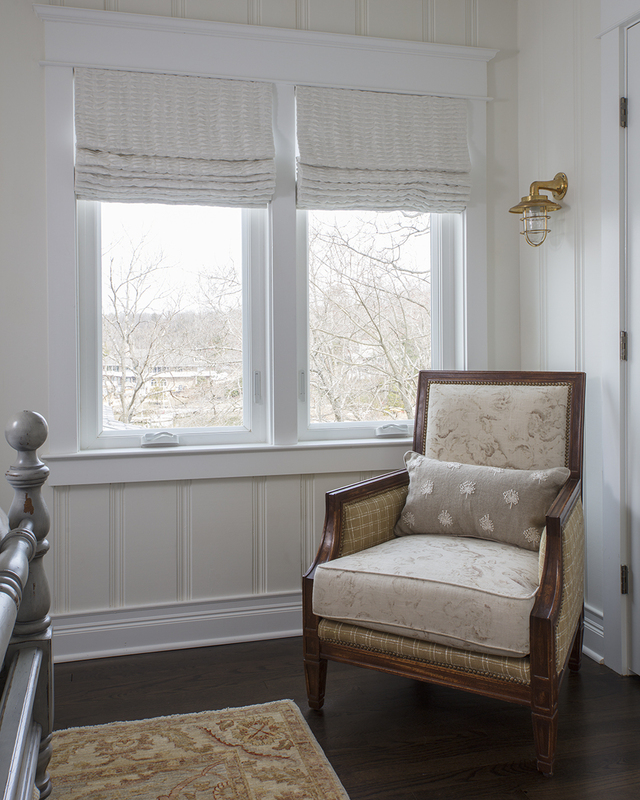 Roman shades complete the office and also provide privacy in the kitchen. 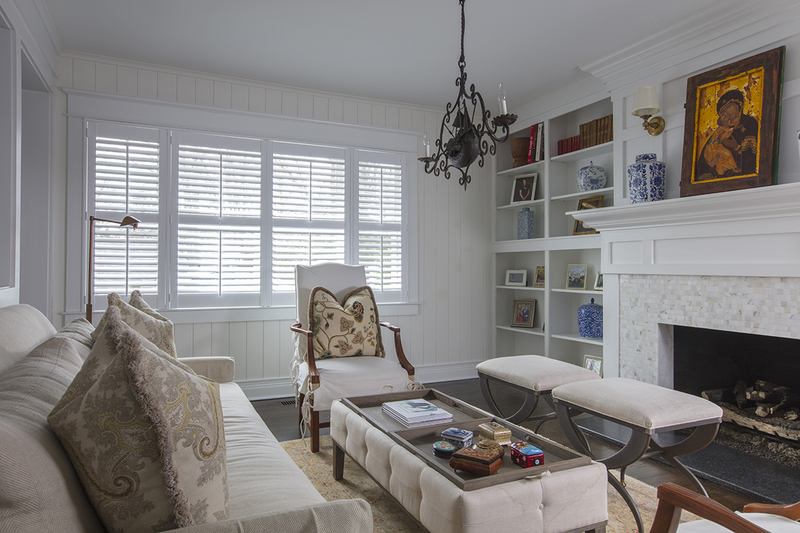 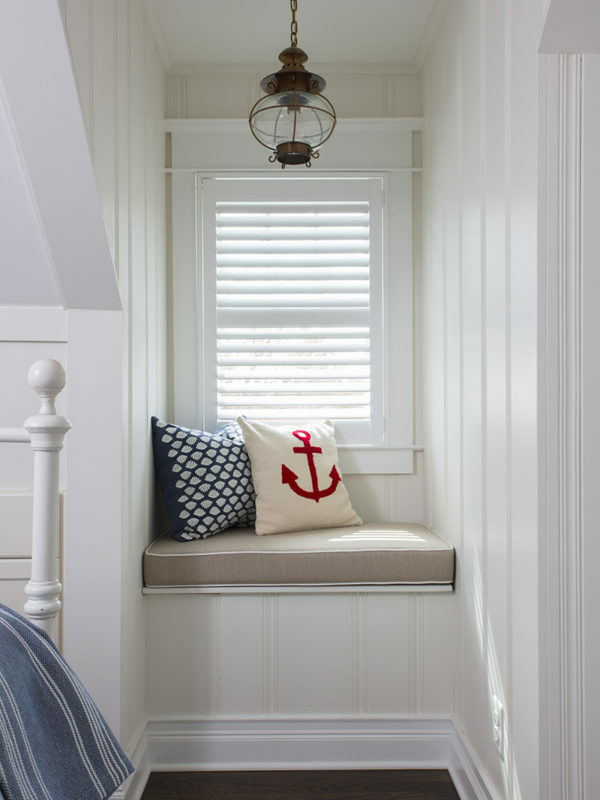 Plantation shutters softly filter the light while providing privacy in the living room.